Covering billions of concepts and conundrums, they tackle everything from the Big Bang to parallel universes, fierce creatures to extraterrestrial life, brain science to artificial intelligence. 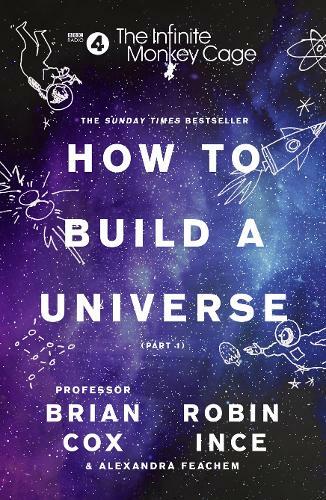 How to Build a Universe is an illuminating and inspirational celebration of science - sometimes silly, sometimes astounding and very occasionally facetious. The author or co-author of more than 950 scientific publications Professor Brian Cox is a popular presenter of science programmes both for television and radio including Wonders of the Solar System, Wonders ofthe Universe and Wonders of Life along with their accompanying publications. Amongst his bestselling science books are Why Does E=mc2?, The Quantum Universe and Universal: A Guide to the Cosmos with fellow physicist Jeff Forshaw. A stand-up comedian, actor and writer, Robin Ince is also the author of books including Robin Ince's Bad Book Club and a contributing editor to Dead Funny and Dead Funny Encore.